5 things not to miss in Melbourne? Actually more like 50 things you could do in Melbourne! I Love Melbourne, there you go I have said it! Being a proud Victorian, Melbourne is our capital city and home to over 3 million people. It is fair to say Melbourne has come a long way since Ava Gardner famously described Melbourne as the “perfect place to film a movie about the end of the world”. Melbourne has been voted the world’s most liveable city countless times in many different polls worldwide. Melbourne’s famous tramway system is the largest outside Europe and the fourth largest in the world. It stretches along 244 kilometres of track and has 450 trams. Melbourne had the first gay and lesbian radio station in the world. Melbourne was originally going to be named ‘Batmania’ after one of its founding fathers, John Batman. Imagine that! The National Gallery of Victoria has the world’s largest stained glass ceiling – 51 metres (167.3 feet) long by 15 metres (49.2 feet) wide. Melbourne was the capital city of Australia for 26 years between 1901 and 1927. We have a gift for you. $30 off your next nights stay with booking.com just click here! . The MCG is among the top 10 biggest stadiums in the world with a capacity of over 100,000 people. The MCG regularly reaches crowds of over 90,000 people many times a year during big-ticket sporting events. The MCG was also home to the summer Olympics of 1956. The stadium staged the opening and closing ceremonies and the track and field events. 1956 was the first time the Olympic Games had been held in the southern hemisphere. Those from Great Britain, South Africa and the subcontinent countries of India, Pakistan etc will know the MCG. They will know it’s one of the most revered sites in World Cricket. The MCG hosts Australian Rules Football for 8 months of the year. Discover some of the highlights of Melbourne’s proud sporting heritage, including the Melbourne Cricket Ground and the Rod Laver Arena. Melbourne is widely known as the sporting capital of the world. A Melbourne cricket ground tour is awesome. Events such as International Champions Cup where major football teams such as Real Madrid and Juventus play each July. Performers such as Madonna and The Rolling Stones have staged concerts on the hallowed turf of The Melbourne Cricket Ground. MCG events include concerts and special sporting events held regularly at the “G”. Early in 2017, I was lucky enough to see Guns n Roses along with 80,000 others. It was an amazing MCG event. Accommodation near MCG is plenty since it’s so close to the Melbourne CBD. The MCG house’s the Australian Sports Museum and tours of the stadium itself are also available. It’s highly unlikely that you will be in Melbourne and there will be nothing on at the MCG. The Old Melbourne Gaol has been standing in central Melbourne since the 1840’s. At one stage this 3 story bluestone building dominated the skyline of the young city of Melbourne. The Old Melbourne Gaol bore witness to more than 135 deaths by hanging in its time. The goal was a symbol of law and order in the newly formed colony of Victoria. It was placed in the centre of Melbourne to intimidate and remind its citizens of where they could end up if they broke the law. After closing down in 1924 the Old Melbourne Gaol was re-opened as a museum in the 1970’s and is now one of Melbourne great attractions. 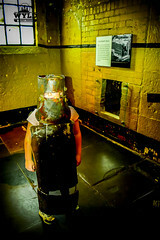 You can visit the gaol and learn about its history, its prisoners and its day to day operations. The cells all have information about the criminals who lived her and possibly died here. You can see the beam and the rope where the prisoners hung from. Displays of restraints, guns and memorabilia from the colonial times are also on display. The gaol runs a hugely popular ghost tour at night through the prison. Melbourne hop on hop off bus. Explore Melbourne at your own pace on this 24/48-hour hop-on-hop-off city sightseeing bus tour. Get on and off the bus as often as you like as you explore the sights in Melbourne and discover the unique buildings, history, food, and shopping in the city. Family Travel Tips: Make sure you get the kids to don Ned Kelly’s armour for a picture. A picture dressed in the armour of Australia’s greatest bushranger is a highlight for kids. The Melbourne Star is a giant observation wheel located in the Docklands district of the city of Melbourne Australia. 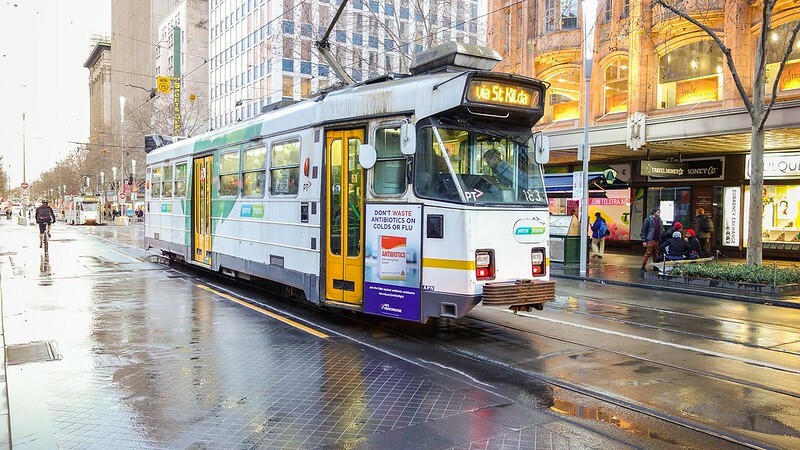 It is reachable by the famous Melbourne trams in under 10 minutes from the central business district. The Star is a great way to see the beautiful city of Melbourne in a completely different way! The Melbourne Star is classified as one of the world’s 4 giant observation wheels, no mention of just plain Ferris wheels around here! The 4 Giant wheels are the Melbourne Star, The London Eye, The Singapore Flyer and the Las Vegas High Roller. 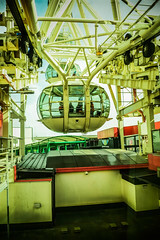 A journey on the Melbourne Star will take you 30 minutes. The Star rotates at a leisurely 1 km an hour allowing you to enjoy the scenic splendour that’s laid out in front of you.The Star provides with a 360-degree view in all directions from Port Phillip Bay to the Melbourne central business district. As your journey progresses around the giant wheel you receive information through a P.A system on points of interest and the history of different sites you can see from your air-conditioned pod. Family Travel Tips: Catch the free Melbourne City Circle Tram. The kids will love the old fashioned Melbourne tram. The tram stops at Harbour Town in the Docklands which is where The Melbourne Star is located. The Melbourne Museum and The National Gallery of Victoria stage many great exhibitions alongside their permanent displays. The Melbourne Museum is the largest Museum in the southern hemisphere. The permanent displays at both these locations are amazing and well worth spending hours exploring. Over the time, we have been to the Tutankhamun and Titanic exhibitions at the Museum and in May 2016, we attended the Jurassic exhibition. These are world-class exhibitions that have toured the world to critical acclaim. Since 2004 the National Gallery of Victoria has held what is known as its Winter Masterpieces collections. The collections have included Impressionists: Masterpieces from the Musee d’Orsay, Picasso: Love and War 1935–1945, “Napoleon: Revolution to Empire” and this year “Masterpieces from the Hermitage- The Legacy of Catherine the Great”. We attended this year’s exhibition and it was fantastic, with all the pieces on display on loan from The Hermitage in St Petersburg. The Napoleon exhibition had many fascinating pieces with connections to this most famous Frenchman. Paintings by Rembrandt, Renoir, Rodin, Picasso, Monet and Bernini just to name a few are on permanent exhibition here as well as great Australian artists such as Hugh Ramsay, Tom Roberts, John Russell and others. The National Gallery founded in 1861, it is Australia’s oldest, largest and most visited art Museum. The National Gallery has a second exhibition space in Federation Square for its modern art collection to be showcased. 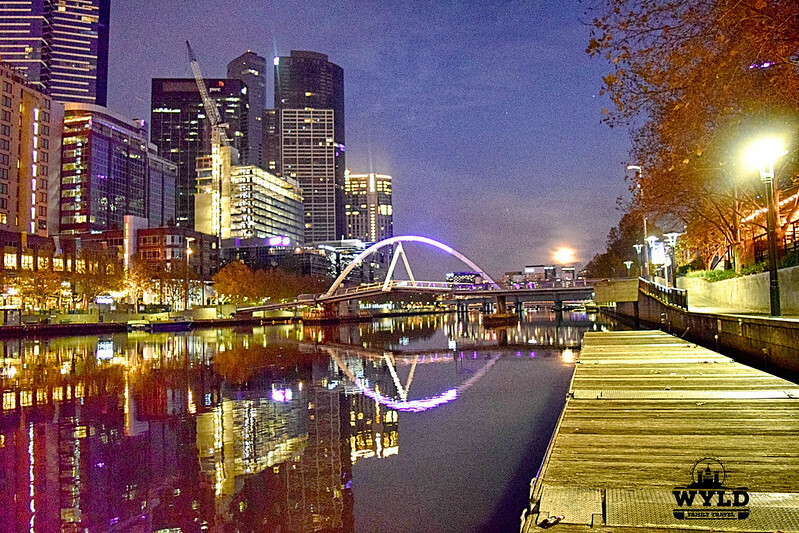 The South Bank of the Yarra River has been heavily developed over the last two decades. The Yarra River splits the city of Melbourne right up the centre. South Bank has been transformed into a walking, jogging, strolling promenade along the banks of the Yarra. High rise building and restaurants adorn the pavement of the Southbank promenade. You can stop for an ice cream, a cold beer or a meal at a 5-star Michelin rated restaurant. Crown Casino dominates the skyline on South Bank. Crown is part of a worldwide gaming empire that started right here in Melbourne. Crown is the largest casino in the southern hemisphere. Apart from gambling, you will find famous retail stores such as Prada and Louis Vuitton. For families Cinema’s bowling and food courts in the crown complex. Further along, South Bank is the Melbourne Exhibition Centre which hosts all types of conferences and events year round. We have attended oz comic-con at the Exhibition Center. During the year, there are also travel, boating, car and many other types of conventions that you are able to visit. Further along, you get to the South Wharf complex with its retail factory outlets and you guessed it, more bars and restaurants. Actually, one of our favourite restaurants in Melbourne, Munich Bauhaus is located here. Family Travel Tip: Just across the Yarra river on the CBD side of the city is Sealife Melbourne. Sealife Aquariums are always a popular attraction with kids. One can actually not talk about Melbourne unless we mention Melbourne’s food and drink culture. Melbourne is famous worldwide for its embracing culinary scene as a part of life. While Sydney is locking out patrons from venue’s that serve alcohol unless they are in by 10 pm, Melbourne is extending trading hours and pushing towards 24-hour bars and restaurants. Melbourne is obsessed with coffee and has one of the most sophisticated coffee cultures in the world. This 2.5-hour small group walking tour takes you through the “crop-to-cup” story to places that really care about the origin, roast and brewing of the bean. Melbourne is one of the best places on earth to get a coffee. So much so that you will only find 3 Starbucks in the whole city. Starbucks long ago packed up and left Melbourne with only a token few stores remaining for tourists. Starbucks realised its coffee could not cut it with the coffee lovers in Melbourne, their cafe culture and world class baristas. Speaking coffee the world’s first McCafe from McDonald’s was opened in Melbourne. McCafe is now a worldwide phenomenon for Macca’s (That’s what we Australians refer to McDonald’s as). We hope these 5 things not to miss in Melbourne helps you plan and have a great visit to Melbourne. If you are travelling around this great country of ours and you visit Sydney these top 20 things to do is a brilliant starting point! Below we have included 2 more posts from us here at Wyld Family Travel that we hope will help you get the most of your trip down here. The Southbank and Melbourne Goal sound like interesting things to see for sure. Also Cricket, ahhhh would love to go see a match there. I haven’t been to Australia yet but I really want to. Melbourne seems like an especially cool city and I would love to visit, especially to check out The Old Melbourne Gaol. I can’t believe the city was going to be called Batmania! How hilarious! I love Melbourne’s atmosphere. I try to go every couple of years because my friend lives there and my sister just moved. I went last year and I love their markets and food culture. I have not been to Australia, but tickets from Europe to Melbourne and Sydney have been less than 800 EUR (850 USD) lately so it sounds completely tempting. Gosh, what a beautiful city Melbourne looks like. It’s true Australian (and Canadian) cities have been dominating the “Most liveable cities” statistics. 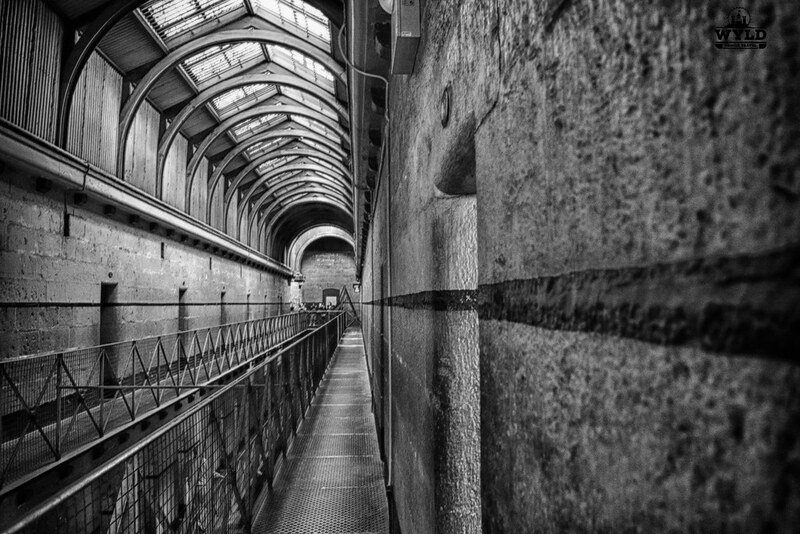 No wonder why… The gaol looks so much fun to explore. And I would love to get on top of the Melbourne star contemplating the city. I did some of these things when I was in Melbourne, but not enough! I did love the Melbourne Gaol and Cricket Grounds. I was lucky enough to attend the Boxing Day test match, which was fun for my first cricket game. And the coffee is great. I missed the Melbourne Star though. Next time! A perfect post for my friend who is traveling to Australia this summer. Sounds tempting even for me known for addiction with African continent. A high school friend of mine moved to Melbourne a number of years ago and just won’t shut up about how incredible it is. I may have to go check it out for myself. Melbourne has amazing food. So many options, more affordable than Brisbane and Sydney. If only it could also have Brisbane’s climate – it would be the perfect city. I must check out the Old Melbourne Gaol on my next visit. Looks really interesting. There is no doubt that I want to go see the Gaol! Its like San Fran’s Alcatraz or something! Wonder if its haunted! 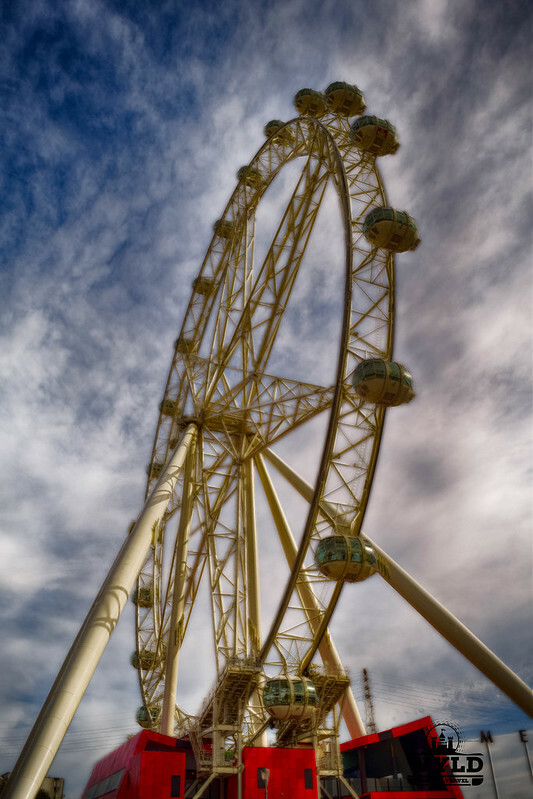 I know Darcee my girlfriend would love to ride the Melbourne Star, she loves ferris wheels and that one is definitely on her bucket list! What a great post! I regularly go to Melbourne and will be going in the end of the month. I have been to most of the places there except for the gaol. I will be going there this time. What are some of the best bars and cafes in Melbourne, not night clubs. I love coffee and a good night out drinking lots of beer where should I be on Saturday night?